Long years of work at night bars and clubs, inspired by various performances of world famous DJs and producers is awaking the Hristo Nikolov’s a.k.a. Electriksoul attention to the modern sound of House music. Step by step he starts collecting vinyl’s, to buy studio equipment and to connect to the world of music. After more than 10 years behind the decks, now Electriksoul has been playing in many famous Bulgarian clubs as: Cacao beach club (Sunny beach), Culture beat (Sofia), Chervilo (Sofia / Plovdiv), Mania (Sunny beach). Over the time he decided to work on his own style, strictly oriented to clean rhythms and based on deep house & vocal house vibrations. His dj sets are always full of groove and minimalistic beats, based on precise technical skills and terrific behavior behind the decks. In 2009 Electriksoul, along with one of the most respected names on the Bulgarian music scene DJ & producer, Pepo, he becomes a manager of the label Stolen Soul Music. The elegant sound of Stolen Soul is encoded in distinct rhythm styles like soulful house, deep vocals & groove tech. The label releases became emblematic for the development of the electronic music culture in Bulgaria during the past few years. Electriksoul creates his first track in collaboration with the label owner, Pepo, and it’s called "Matinee" (2010). It contains a remix of the Spanish producer Marcos Cruz and gets on top positions in the House Chart (Juno Download). The very first remix of him is of the track "The King" – an original production of the well-known Matteo Matteini. 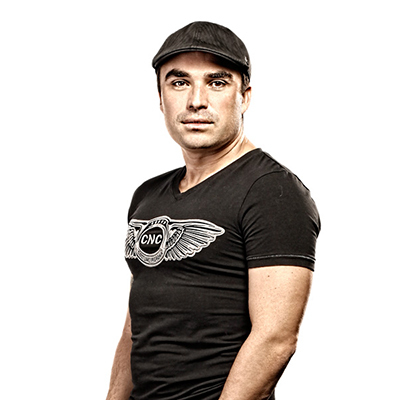 Electriksoul's productions are supported by such names as Marco Carola, Richie Hawtin, Dubfire, Audiofly, Dyed Soundorom; he also has released tracks for labels as Soulman and Nervine Records. His mixes have been played on air at American Proton Radio. He has also a monthly radio-residency at Radio Nova in the famous House Music radio show, called: "Impressive Sounds".